We have learnt quite a bit in the past 8 chapters. 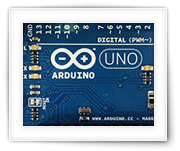 In this ninth chapter we will start we will combine some of the things we’ve talked about and with that show you how we can read something from the Serial Monitor of the Arduino IDE, so a user can enter text or numbers. This is the ninth part of a series of articles I’ve written to get beginners started with Arduino Programming in the programming language C, which I’ve written with the intend to teach my 13 year old nephew (Bram) to get started with the Arduino. After all, he wants to build a robot, but without some basic knowledge about programming, he won’t get far …. In this article we will talk about Functions. In previous parts we have worked with two functions already (setup and loop), but in this part we will go deeper into using functions and creating our own. This is the sixth part of a series of articles I’ve written to get beginners started with Arduino Programming in the programming language C, which I’ve written with the intend to teach my 13 year old nephew (Bram) to get started with the Arduino. After all, he wants to build a robot, but without some basic knowledge about programming, he won’t get far …. In this article we will talk about loops. Loops are used for going through programming instructions for a defined or undefined number of times, so that we do not have to write the same statement over and over again. We will look at “for”-loops, “while”-loops and “do … while …”-loops. This is the fifth part of a series of articles I’ve written to get beginners started with Arduino Programming in the programming language C, which I’ve written with the intend to teach my 13 year old nephew (Bram) to get started with the Arduino. After all, he wants to build a robot, but without some basic knowledge about programming, he won’t get far …. 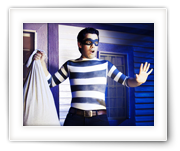 In this article we will talk about making decisions (if … then … or switch … case …). Decisions are very important in our program to react to changing data or events, or to go through a list (loop) of data or events. We call that Control Flow – meaning code is being executed in a different order based on conditions. This is the fourth part of a series of articles I’ve written to get beginners started with Arduino Programming in the programming language C, which I’ve written with the intend to teach my 13 year old nephew (Bram) to get started with the Arduino. After all, he wants to build a robot, but without some basic knowledge about programming, he won’t get far …. In this article we will talk about “data”, after all, a computer can do pretty much only one thing: handle data in a way we dictate. For this we need what is called “data types”, “variables” and “constants”. This is the third part of a series of articles I’ve written to get beginners started with Arduino Programming in the programming language C, which I’ve written with the intend to teach my 13 year old nephew (Bram) to get started with the Arduino. After all, he wants to build a robot, but without some basic knowledge about programming, he won’t get far …. In this article we will go a little deeper into Arduino Programming, by exploring the developer tools, also knows as the Arduino IDE and how we can output information of the Arduino to our computer. This is the second part of a series of articles I’ve written to get beginners started with Arduino Programming in the programming language C, which I’ve written with the intend to teach my 13 year old nephew (Bram) to get started with the Arduino. After all, he wants to build a robot, but without some basic knowledge about programming, he won’t get far …. This is the first part of a series of articles I’ve written to get beginners started with Arduino Programming in the programming language C, which I’ve written with the intend to teach my 13 year old nephew Bram Knuit (and his 10 year old brother Max Knuit) to get started with the Arduino. After all, he wants to build a robot, but without some basic knowledge about programming, he won’t get very far …. 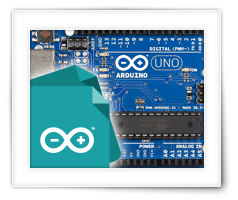 In this article we will show you how to get started with our little Arduino Programming course, by selecting an Arduino and setup the developer tools so we can actually try some of the examples that will be discussing in the next chapters. Besides an introduction into the language C, the default language used for Arduino Programming, “Arduino Programming for Beginners” will also touch topics like how to setup an Arduino, get a developers environment running, and look at a few basic electronic parts which we connect to our Arduino. The lack of basic knowledge should hopefully not be a problem … so I’ll be trying to keep everyone in mind. For those who have read the article “Arduino – Controlling a WS2812 LED strand with NeoPixel or FastLED” might have gotten infected by urge to get more effects, after all … some of these LEDStrip effects look pretty slick! 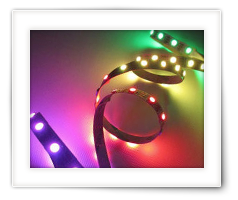 With the holiday coming up real soon, I figured this would be a great opportunity to create and post some cool effects for your LED strips. Maybe you can be your own Griswold (National Lampoon’s Christmas Vacation) with these! You’ve got to check out the Fire effect with toilet paper – looks pretty cool! Please read the article Arduino – Controlling a WS2812 LED first, as it will show you some of the basics. 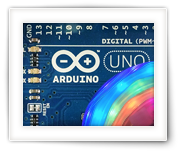 Also note that you’re invited to post your own effects or ideas in the comment section or in the Arduino/WS2811/WS2812 – Share you lighting effects and patterns here … forum topic. 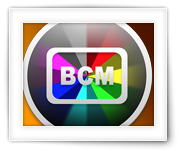 After building my own Ambient Light for my TV (Boblight project), several users asked how to control the light intensity of the LEDs based on the ambient light. So the LEDs should be brighter during the day, and more dimm at night. This brought me to explore the use of different light sensors on an Arduino, where the cheapest and most common one is a so called LDR (Light Dependent Resistor). An LDR decreases in it’s resistance as light increases. Looking at what I could find online, I did find that there is enough information available when using an Analog pin of the Arduino. In this article however, we will also look at using a Digital pin to read an ON/OFF state. So in this article I’ll show you some of the basics on how to use an LDR with your Arduino. In this article I’ll discuss both options.